Soil used to be cast aside: important only for the provenience of artifacts that were found. With modern technology; however, the matrix itself can provide valuable archaeological evidence. In the case of Tikal, an ancient Maya city in northern Guatemala, chemical analysis of soil has provided conclusive evidence of Maya agriculture (American Society of Agronomy 2012). Corn uses a different photosynthetic pathway than most of the vegetation native to Tikal and produces a higher ration of carbon-13 to carbon-12 in the soil (Eberl 2016). 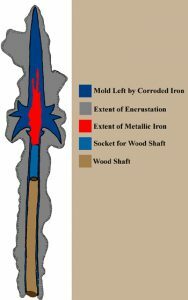 Richard Terry, a soil scientist at Brigham Young University, conducted research on 185 soil cores taken from around Tikal (Figure 1) which have been used to map where the Maya did and did not plant maize (Hollingshead 2013). With the model his team created of long-term corn production in Tikal, it is possible to determine the number of people the city could support (Hollingshead 2013). With this technique, it is then possible to look at modern soil and determine the population limit our agriculture can support before environmental collapse. Figure 1. Soil scientists from Brigham Young University taking soil samples near Tikal, Gautemala (Gannon 2013). Soil also provides direct evidence to overexploitation of resources, a problem that persists to this day. The Maya achieved widespread maize production but with this came invisible degenerative soil processes like erosion and fertility depletion (Olson 1981). Soil analysis in Tikal indicated that corn-production occurred mostly in low-lying wetlands called bajos, but erosion was discovered in upslope soils which suggested that farming had spread to hills (American Society of Agronomy 2012). It is likely that the spread of farming was due to increased demand because of population growth, but the larger production drastically affected soil viability and inevitably would have undercut the food source (American Society of Agronomy 2012). Again in Tikal, soil use was mapped based on the color: soil used for agricultural production was lighter than the mineral-rich soil which had been left undisturbed (Olson 1981) (Figure 2). The fact that the soil in Tikal has retained the nutrient character the Maya left it with for thousands of years is a sobering thought. Not only does overexploitation lead to decreased production in the relatively short-term but also affects the ability of future civilizations to survive in the far long-term. We not only need to consider the effects of our agriculture on how much food we can create for the present population, but also whether our supposed sustainability means future civilizations will be unable to survive. In order to maintain an ability for agricultural production the current rate of farming needs to decrease or needs to increase in variation (through consultation with experts on the nutrient use of each specific plant) so as to reduce mineral depletion. Figure 2. An example of soil color being recorded with a Munsell Color Chart— to be recorded the soils must all be in the same conditions such as sunlight or shade and wet or dry (Maya Research Program). 2012 Researchers Unlock Ancient Maya Secrets with Modern Soil Science. Electronic document, https://www.sciencedaily.com/releases/2012/11/121112090732.htm, accessed November 2, 2018. 2016 Ancient Maya Agriculture at Tamarindito, Guatemala. Electronic document, https://my.vanderbilt.edu/universityfundingprograms/2016/11/ancient-maya-agriculture-at-tamarindito-guatemala/, accessed November 2, 2018. 2013 How Many Mayans Were There. Electronic document, https://www.livescience.com/37773-ancient-maya-farms-population.html, accessed November 2, 2018. 2013 Newly Revealed Maya Farming Hotspots Hold Key to Ancient Culture. Electronic document, https://news.byu.edu/news/newly-revealed-maya-farming-hotspots-hold-key-ancient-culture, accessed November 2, 2018. 2016 Soil Excavations with the Maya Research Program. 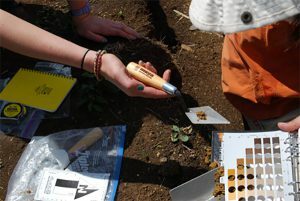 Electronic document, https://munsell.com/color-blog/soil-excavation-maya-research-program/, accessed November 2, 2018. 1981 Archaeology: Lessons On Future Soil Use. Electronic document, http://www.ciesin.columbia.edu/docs/002-225/002-225.html, accessed November 2, 2018. 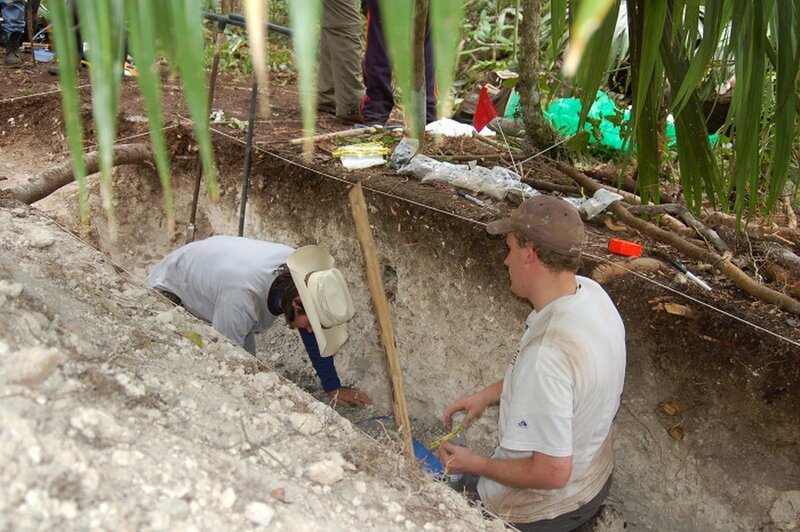 2007 BYU Research Team’s Special Methods Find Ancient Maya Marketplace. Electronic document, https://news.byu.edu/news/byu-research-teams-special-methods-find-ancient-maya-marketplace, accessed November 2, 2018. 2012 Upland and Lowland Soil Resources of the Ancient Maya at Tikal, Guatemala. Electronic document, https://dl.sciencesocieties.org/publications/sssaj/abstracts/76/6/2083, accessed November 2, 2018. 1985 Soils and the Location of Cacao Orchards at a Maya site in Western Belize. Electronic document, https://www.sciencedirect.com/science/article/pii/0305440385900573, accessed November 2, 2018. Shipwrecks have been heralded as time capsules in the ocean due to the complete nature of the artifacts they contain at the time that they sink, but shipwrecks and encrustations can be examined at a level even beyond the artifacts themselves. Ships, when they set sail, contain everything the passengers believe is essential to life for an extended amount of time. With this in mind, shipwrecks can provide insight into historical cultural materiality and, because the passengers and the crew on board will come from different classes, social hierarchies. When artifacts that sank aboard a shipwreck are left in salt water for extended amounts of time, especially in warmer ocean temperatures, they often become covered with what is termed encrustation: a thick conglomeration of “calcium carbonate, magnesium hydroxide, metal corrosion products, sand, clay, and various forms of marine life such as shells, coral, barnacles, and plant life” (Hamilton 1997). While it may seem as though this encrustation is preventing the examination and analysis of the artifact within, the sediments themselves often contain a treasure trove of archaeological information. In fact, encrustations can indefinitely preserve impressions of objects that have dissolved which can be used as molds to recreate the objects (Figure 1). While it may seem as though encrustations destroy archaeological evidence, what they may dissolve is often made up for by the wide variety of information they provide. In addition to creating imprints that can be recreated, the encrustations preserve objects that would otherwise be destroyed in oceanic environments such as potsherds, fragments of cloth, and seeds and insects. Furthermore, each encrustation alone can contain an abundance of individual artifacts and ecofacts. In the case of the encrustation found aboard the San Esteban off of Padre Island, Texas (Figure 2) the encrustations of large iron objects like anchors each contained hundreds of smaller artifacts and ecofacts like bolts, coins, plants, and shell debris. Figure 2. Various stages of extraction of the artifacts in an enunciation from the San Esteban, beginning with an x-ray to locate the objects within the conglomerate (Arnold 1980). Another unique advantage of encrustations is that they hold a timeline of archaeological information. In a similar manner to geological stratification, exterior layers of encrustations will have formed more recently than interior layers. The ecofacts that inevitably become a part of the conglomerations can provide insight into ocean ecology based on the conditions in which living organisms can survive. With encrustations providing a geological timescale, not only can the information be used to date artifacts within the concretions but there is also the potential to learn about changes in ocean ecology over time and use trends in that data to predict future ecological conditions. 1980 Shipwrecks in the Wake of Columbus. Electronic document, https://pdfs.semanticscholar.org/d70c/3a265da998dbfd37795bede31b1608b8b05b.pdf, accessed September 14, 2018. Overview of Conservation in Archaeology; Basic Archaeological Conservation Procedures. Electronic document, http://nautarch.tamu.edu/CRL/conservationmanual/File1.htm#Basic%20References, accessed September 14, 2018. Composite Wood / Iron Objects: Pole Arms and Partisans; La Salle Shipwreck Project Texas Historical Commission. Electronic document, http://nautarch.tamu.edu/CRL/Report2/polearm.htm, accessed September 14, 2018. 1997 Basic Methods of Conserving Underwater Archaeological Material Culture. Electronic document, http://nautarch.tamu.edu/class/606/UA_%20Conserv.pdf, accessed September 14, 2018. 2018 Conservators of Underwater Archaeology. Electronic document, http://www.archaeologyexpert.co.uk/conservatorsofunderwaterarchaeology.html, accessed September 14, 2018. 1987 Technologies for Survey, Identification, Navigation, Excavation, Documentation, Restoration, and Conservation. In Technologies for Underwater Archaeology and Maritime Preservation. Electronic document, https://www.princeton.edu/~ota/disk2/1987/8726/8726.PDF, accessed September 14, 2018. 1980 PADRE ISLAND SPANISH SHIPWRECKS OF 1554. Electronic document, https://tshaonline.org/handbook/online/articles/etpfe, accessed September 14, 2018. 2013 Underwater Archaeological Excavation Techniques. Electronic document, https://oceanexplorer.noaa.gov/explorations/12newworld/background/underarch/underarch.html, accessed September 14, 2018.